let me be brief, after updating to 3.9 i noticed that i cant edit image's style attribute! New wordpress allows me to edit class but i cant add style which was very important to me. very sad but this will force me to develop extra magic style expansion plugin. Stay tuned. Posted in Wordpress, WP Plugins. 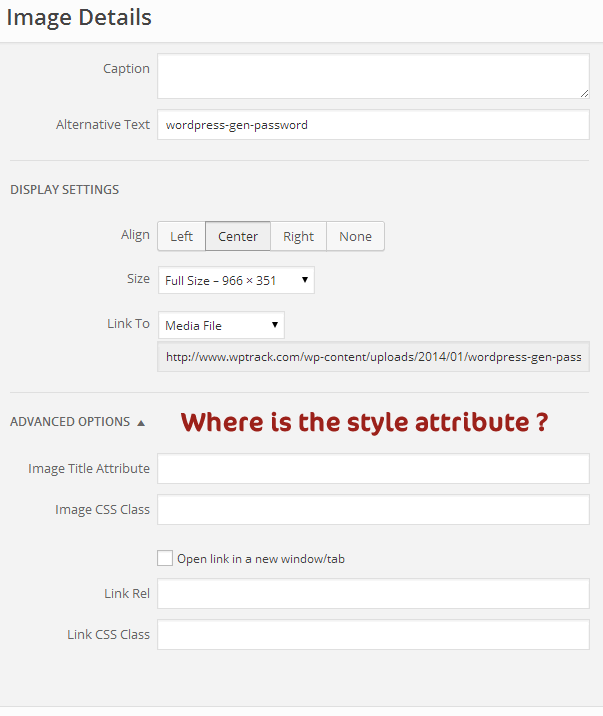 Tags: wordpress 3.9, wordpress update on April 17, 2014 by admin.